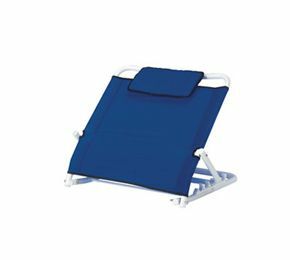 Adjustable Backrest With A Comfortable Padded Headrest. I have had five back surgeries and it was extremely difficult to lie in bed and watch TV or read. This adjustable backrest solves everything. It is perfect. My sister and brother-in-law were so impressed with it that they too ordered one for each of them. 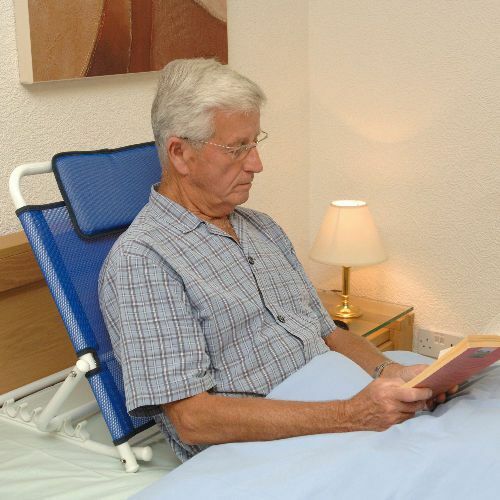 It\'s perfect for reading in bed as the backrest is adjustable. Fits every individual. I would highly recommend this. I am unable to review this item as I have had to return it due to the passing away of the intended recipient. However I can say that the woman I spoke to was very helpful and the item arrived quickly.